HomeFeatured ArticlesEleider Alvarez Finally Getting a World Title Shot? Eleider Alvarez Finally Getting a World Title Shot? 3kingsboxing.com first reported a few weeks ago Sergey Kovalev was expected to face undefeated light heavyweight contender Marcus Browne in July on HBO. Not so fast though! Kathy Duva hasn’t come out and said Browne’s recent legal trouble for domestic violence would definitely cause him to miss out on the Kovalev opportunity. However, Browne was apparently removed from consideration for what would have been by far the biggest fight of his career thus far, against the WBO light Heavyweight Champion. 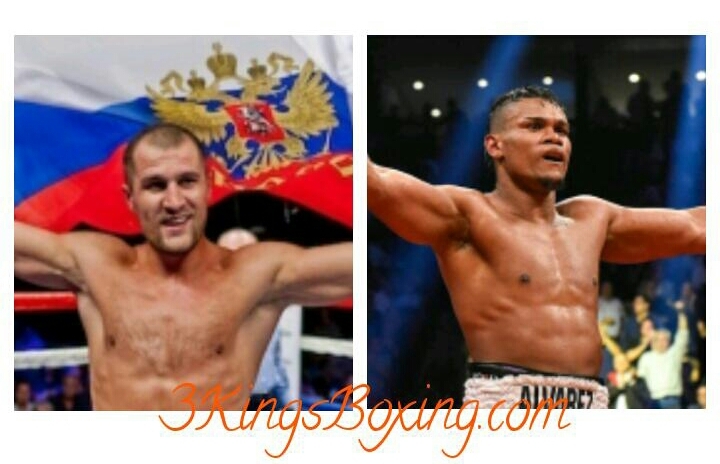 After talking with sources close to the situation 3KingsBoxing.com was able to confirm a report out of Montreal that Sergey Kovalev is likely to defend his title against Eledier Alvarez in late July on HBO. Alvarez has been the long standing mandatory to WBC light heavyweight champion Adonis Stevenson. His team just recently tried to prevent the upcoming Stevenson vs Badou Jack fight from moving forward without Alvarez being compensated and guaranteed the chance to face the winner. It’s unclear what happened but seemingly Alvarez’s advisor l Al Haymon was able to get Alvarez a title shot against Kovalev. Kovalev most recently defeated Igor Mikhalkin by seventh round stoppage on March 3rd. The Mikhalkin fight was Kovalev’s first defense of the WBO belt he won in November when he destroyed Vyacheslav Shabranskyy for the vacant title. David Avanesyan Gets Upset Victory; Stops Kerman Lejarraga in 9!